Continuing the series on the existing Social Networks and how they are being used by the PiercingMetal outlet, this is VampireFreaks. VampireFreaks: Finally there is a place where all of the Goths, Darkwavers and Metal fans can go to mingle and discuss whatever is on their dark minds. Several months ago while out in the field covering a show, I met with some of the people who formed the site and was impressed with their dedication about not only bringing a fan base together, but also forming something united for a sub-culture that is all too often ignored. At their suggestion, we created a profile and as expected its goal is to direct a little extra visiting over to what we do on PiercingMetal.com – if you are someone with a profile already, feel free to add us but understand that we maintain the sites Facebook, Twitter, and Blog pages more regularly. This of course all being done after the regular writing and photo editing has been finished. Clicking the logo above will take you to my very limited profile but it is still online for you to see. To learn more about Vampirefreaks.com just click the Wikipedia entry below. UPDATE: 12/3/2017: After a very long period of non-use I have deleted the PiercingMetal account from VampireFreaks.com – We shall not be returning in an effort to keep a better focus on where the brand has an account. Metal website’s official blog or not this is some pretty big and super cool news. 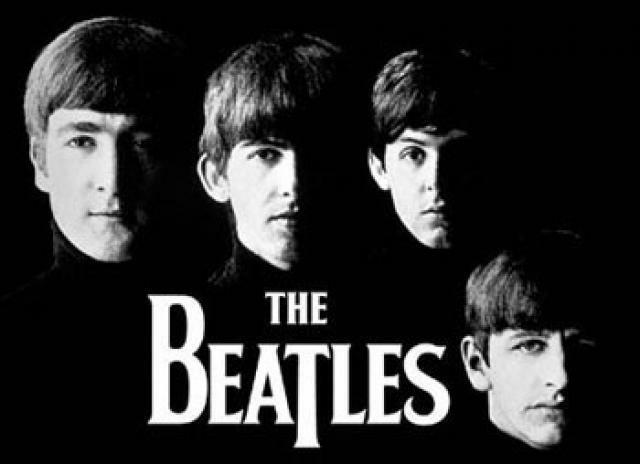 The Beatles catalog has been fully remastered and is available as of a couple of days ago and what a day to offer it up to their fans, September 9th 2009 or “9-9-9” (you know like the song “Revolution #9 that says “number 9, number 9, number 9” again and again. This is also cool news for those fans who are a little too young to have fully appreciated the band and might be curious about those round black plates in their parents music collection. Sadly those entrenched in the digital age will need to hold on as these are purely physical releases and not available in iTunes or even Amazon.com MP3 providers at this time. I am sure we shall see this happening soon enough though. Continuing the series on the existing Social Networks and how they are being used by the PiercingMetal outlet. This is Orkut. Orkut:: Orkut is a social networking site that is run by Google, and originally the users needed an invite to create an account of their own. According to research this is the top most visited site in Brazil and the second most visited site in India. Based on these statistics it made perfect sense to check out what was going on over there and see if it applied for some proper use for PiercingMetal.com and my writings. Like MySpace and Facebook, the service had a unique look and feel to it and offered Groups and Forums to its members. Since we didn’t want too much in the way of maintenance we created a “Community” for PiercingMetal and for those who might not be aware of it, the community is how they label what we know as groups over on things like MySpace and the others. We use the community on the network to post major site initiatives, concert reviews and interviews and rather than copying and pasting all of the stuff on the main site, I instead post direct links to the content on the official domain. So far this has been met with a positive response and of course we hope that any of our Orkut supporters are subscribing to the blogs RSS feed or following the more used mediums of Facebook and Twitter. I made a couple of my real world friends the moderators of that particular community but admit that it is in dire need of some updating. There is only so much time in the day and when given the option to update the main site or the Orkut, guess which one wins……I guess I should ask those people to begin copying and pasting the most relevant links to keep up appearances. To learn more about the social network itself, just look into their Wikipedia entry below. Continuing the series on the existing Social Networks and how they are being used by the PiercingMetal outlet. This is LinkedIn. So what is LinkedIn you might be saying, well the answer is simple. LinkedIn is a business networking tool and while a lot different from the conventional Social Network, there are some similarities in how it is set up. With this particular service you can essentially build your work and freelance resume and add contacts that you have dealt with in business over the years. You can also reach out to those whom you wish to work with in some context and get recommendations from people that you have done business with. If you are inclined you may return the favor but it is paramount to keep this as professional as possible. When it first launched LinkedIn did NOT offer you the means to add friends and while this is now an option, I prefer to only add my very closest circle of friend contacts to this because this is more focused on business. If Friends wish to add me, they already know how to add my personal page on Twitter or Facebook. If this becomes a place where you add all of your friends, you limit its effectiveness as a business networking tool. That’s just my two cents. I think everyone in the industry should create an account for themselves on this one if they hope to upgrade their professional game and do some serious cross-networking in their particular discipline. Click the logo above to be taken to LinkedIn to further examine what they offer you and if we have worked together in some capacity, please feel free to invite me to connect. To learn more about the service and the company, just click their Wikipedia entry below. UPDATE 6/29/2012: It appears as though one can no longer have their Twitter feed showing up in their Linked In profile. The two companies ended their association and while I can understand why they did this, I am a little remiss about it no longer potentially bringing me Twitter followers to the PiercingMetal profile. Linked In users can still see that I do have an account in the social network so I only hope they remain curious enough to click the link to see what it is all about and then follow me. Only time will tell. UPDATE 5/25/2017: PiercingMetal DOES have an “Official Page” for the company now in the LinkedIn world so if anyone is interested in following it they may do so by clicking on THIS LINK. At the time of this update I am not sure how I want to use the medium as a means of brand attention. Let’s see what happens with an already full plate. Just the other night, the world famous New York location of The Knitting Factory had it’s last show and I will admit that this news makes me kind of sad. Granted the club is not closing for good and never coming back, they have just decided that the Tribeca would be closed down and then relocated over to Williamsburg, Brooklyn. One has to agree that this neighborhood is a hot area in terms of bars and clubs but how the new Knitting Factory will fair over there is anyone’s guess. It now will be in direct competition with The Music Hall Of Williamsburg (the new name for The North Six) and The Warsaw. There is also Club Europa but that is in Greenpoint and only a hop, skip and a jump away from Williamsburg. Technically speaking this news first came about a year ago but then shows kept happening so I was hopeful that it was incorrect. I guess I was wrong and that saddens me because I loved the layout of the venue in the Tribeca space. For those who had never been here before, the Knitting Factory that I am speaking about had three levels with the main, and larger venue being on the ground floor. There was a small balcony that people could go up on if they wanted a different perspective and I think that this space held about 300 or so comfortably. When you went down one level there was a second venue that they called the Tap Room and it held about a hundred less but was an equally cool space. One more level down was the smallest space that I would not see more than 100 fitting in, but that was cool based on the kind of bands you could put in there. It would be easy to throw three groups with a few dozen fans apiece in there for a showcase while leaving the larger bands of note to play on the main level. Based on my own NYC adventures as a music journalist, I am sure that I will get to the new Knitting Factory soon enough. Until then please reflect with me on the shows that I had attended and documented on the PiercingMetal site by clicking HERE. Please note that other items tagged “knitting factory” might also be presented as time moves forward about this venue.